A double hit of Microsoft-related news today, one that might make you smile and another that might make you groan. We'll rip the band aid off first: Microsoft officially announced pricing for Windows 8 upgrades today, effective after Jan. 31 when promotional pricing comes to a close. Starting next month, an upgrade to Window 8 Pro will cost US$199.99, up from the $39.99 promo price folks have been able to grab since October. The sub-$200 figure had been rumored since August 2012, but now we have the good word from Microsoft itself. The Pro upgrade isn't the only Windows 8 bundle getting a price jump come February: a standard Windows 8 upgrade will cost US$119.99, while a Windows 8 Pro Pack will go for US$99.99. 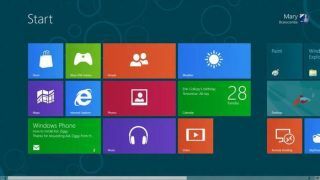 Microsoft also created a Windows 8 Media Center Pack for US$9.99, available to those Windows 8 Pro and who want Windows Media Center and DVD playback. There's no price for the pack right now. Users still have plenty of time to grade the US$39.99 promo deal, something they can take advantage of using Windows.com. Pick it up at retail, and users will have to fork over US$69.99. Oh and for those who picked up an eligible Windows 7 PC between June 2, 2012 and Jan. 31, 2013, you can still register for the Windows Upgrade offer and steal a Windows Pro 8 upgrade for US$14.99. Pricing for U.K. and Australia were not immediately available, but TechRadar will update this article if pricing for either country comes to light. Now for the better news, at least for those anxiously awaiting the newest version of Office 365. According to Canadian retail info spotted by Neowin, the productivity suite should go on sale Jan. 29, at least in the great white North. Canadians can pre-order Office 365 now and it's likely just a matter of days before Microsoft gives the official word on when everyone - Canadian or not - can purchase the 365 package.